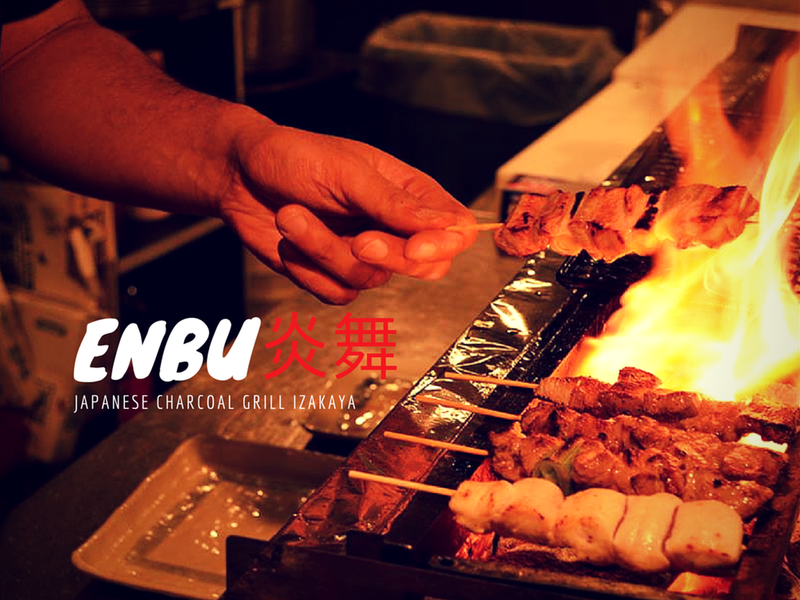 ENBU: Singapore’s first-ever Warayaki and Charcoal Grill Izakaya at Suntec City! 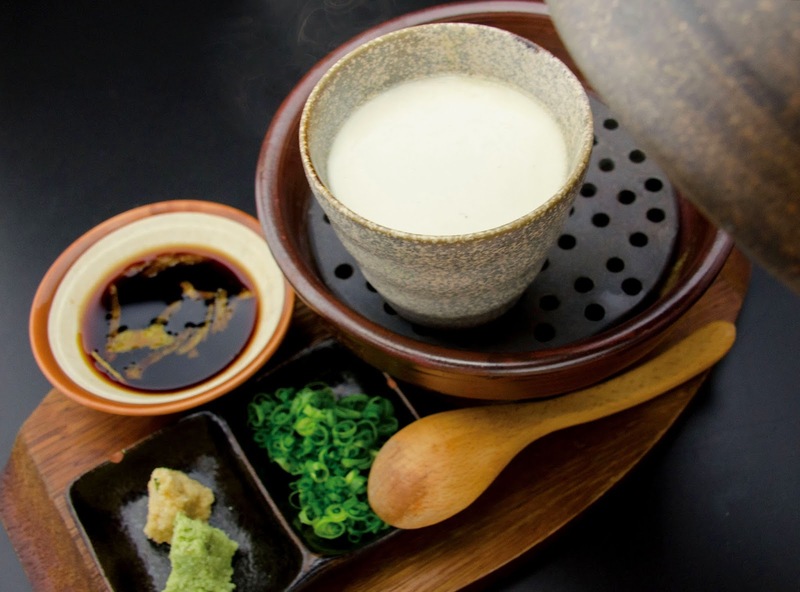 There is gonna be a HUGE Japanese food player coming soon to Suntec City, and when I mean HUGE, I mean a Japanese dining concept that spans over 14,000 square feet! Eat at Seven is a bold, ambitious concept by Global Retail Partners. Seven of the most popular food concepts in Japan are brought to Singapore and will conglomerate at level three of Suntec City's newest Sky Garden. These seven concepts that are brought over are some of the most popular in Japan - where Japanese are willing to queue for HOURS just to savour these cuisines. ENBU is the first in Eat At Seven’s line-up to be launched, and I was really excited to attend its soft launch. I liked how light the homemade cheese tofu tasted on my tongue, thus allowing the main character of this dish to shine through. The salmon was smoked just right and the sprinkle of black pepper elevates the smoky taste. Pretty good as a starter! 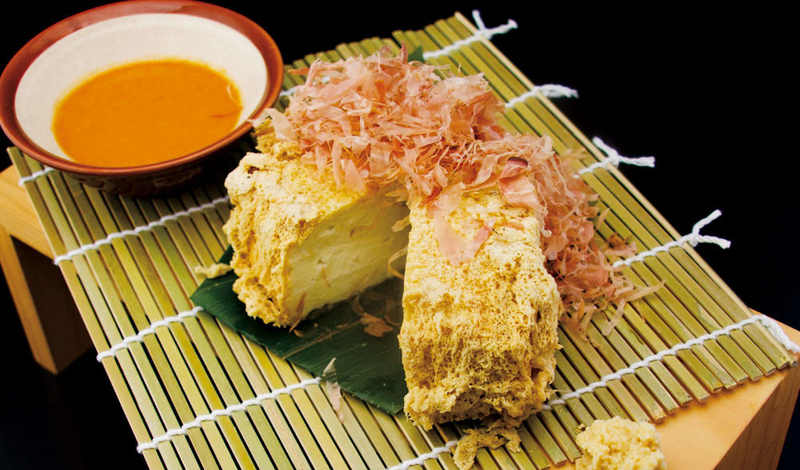 The bonito flakes were a nice touch to the otherwise plain tofu, adding a layer of salty, savoury taste. However, at $12, this might be a little expensive as there wasn't really anything that justifies the price tag. Avocado, egg, minced meat, tomatoes, lettuce and corn are layered and stuffed into this jar, eagerly awaiting for the next person to shake them off. You HAVE TO watch this video to understand why (turn on your sound). 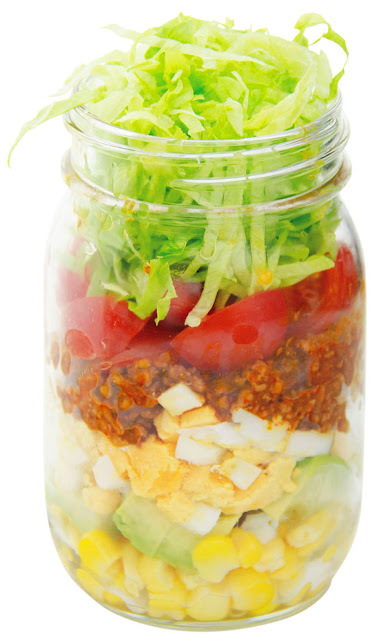 Affectionately called the "Shake it off Salad" by the Evilbean, this combination is super refreshing, and serves as a palette cleanser after a heavy dish. The crispy taco skin, crunchy corn and creamy avocado will do the "Taylor Swift Shake" inside your mouth while your head does the singing. One word is enough to describe the taste of these Sashimi: HEAVENLY. 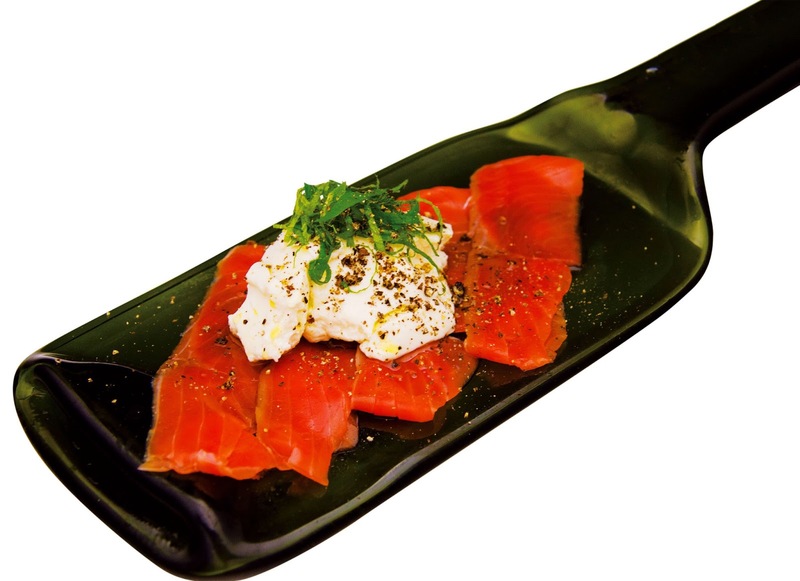 With ANA as one of the partner, the restaurant is able to fly in the freshest sashimi you can taste in Singapore. The ones that we had? Flown in earlier that morning! This is really a MUST-TRY! #5evilbeans for the presentation! I couldn't contain my feelings and kept "wow-ing" while they were serving this to other tables. Grilling the meat with straws and charcoal grill, what you get out of their meats cooked in this method is a wonderful smoky fragrance that you can smell miles away! The way to eat this is quite Korean though: Take a piece of a chicken and place it on the lettuce, add in some cucumber and leek and a splash of the spring onion sauce. Pop everything in your mouth. 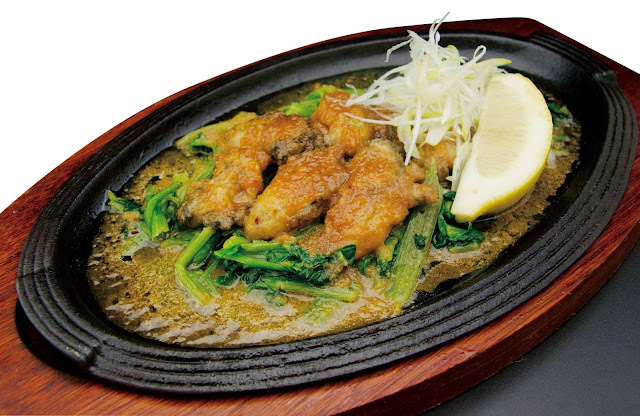 As you have cleverly implied from the name, this tuna fish is also cooked using the "warayaki" method (which explains the straws and metal grill plating). You can almost see the tuna as if it was alive, given how briefly it was seared in the middle. What you taste from this is a hybrid of cooked and raw tuna meat. Pair it with some of the spring onion for a tangy flavour. The tofu tasted very tofu. "What are you talking about Evilbean? Of course tofu taste like tofu lah, then taste like lobster meh?" I am serious. The tofu has a very raw and pungent tofu taste if you eat it on its own. However, with the addition of the yuzu soy sauce, the tofu was much more palatable. This tasted more like a dessert as the texture is very similar to the "tau huay" we are used to having. I love how sweet these two tasted together. You will enjoy the marriage of spinach and juicy oysters in your mouth, and then the feeling of this couple marching down your esophagus all the way to the stomach, hand in hand. Awesome. I was really looking forward to this dish as I have been craving for Korea's Jajangmyeon for quite some time. Alas, not only was the spelling wrong, the noodles were also not black. 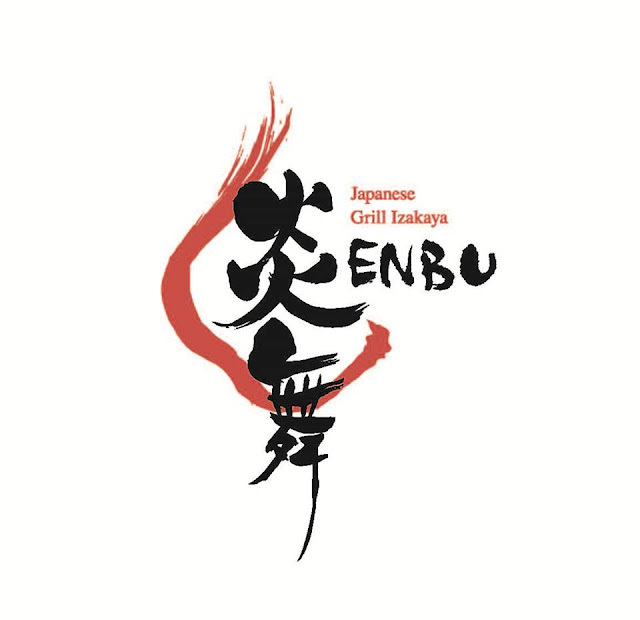 Apparently, ENBU offers the Japanese version, consisting of minced pork and miso. It was a tad salty, but nevertheless, it was still delightful to slurp up those bouncy noodles. I wished this came in a bigger portion though. Being the first ever Warayaki and Charcoal Grill Izakaya (NOT IT'S A KAYA HOW MANY TIMES MUST I SAY) in Singapore, ENBU will certainly draw in lots of Japan food lovers, especially with it's top-grade Sashimi and delicious meats prepared in traditional warayaki style. For more details, check out their Facebook page at www.facebook.com/enbusingapore. Look out for the other 6 Japanese dining concepts coming your way very soon! Street 50 - Late Night Glocal Food in Singapore! Top 5 Things to do at Woodlands North Plaza!